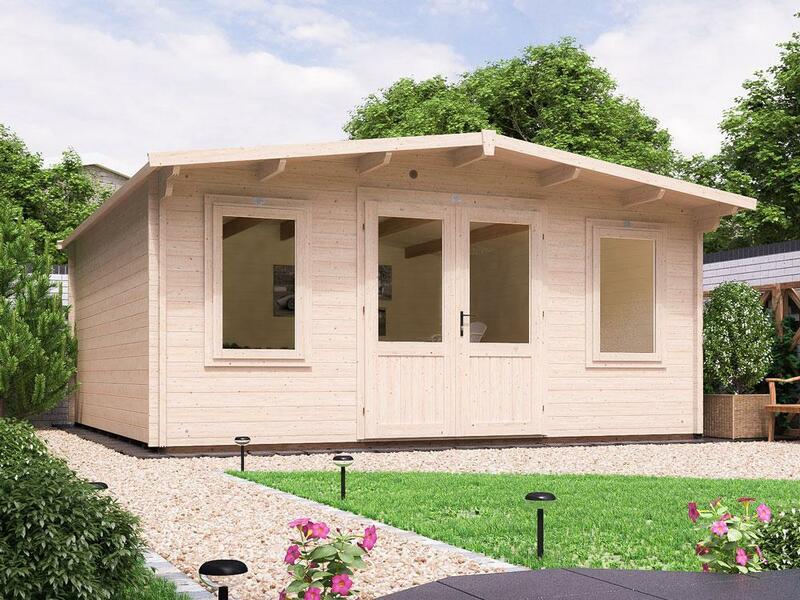 Although the specialist in-house design and manufacturing teams at Dunster House ensure that all the sheds we sell are built to last, performing regular maintenance will help prolong their life and protect your investment. 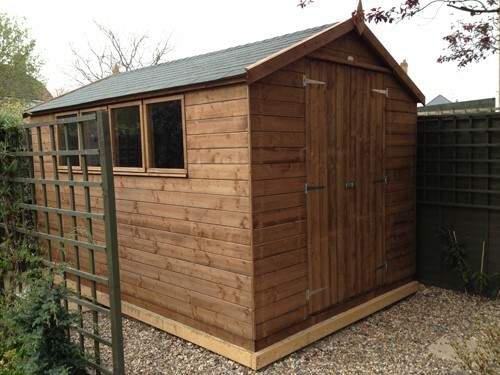 Here at Dunster House, we recommend that systematic checks are carried out on your wooden shed at least once a year. Here is a list of the key areas to focus on when performing maintenance. 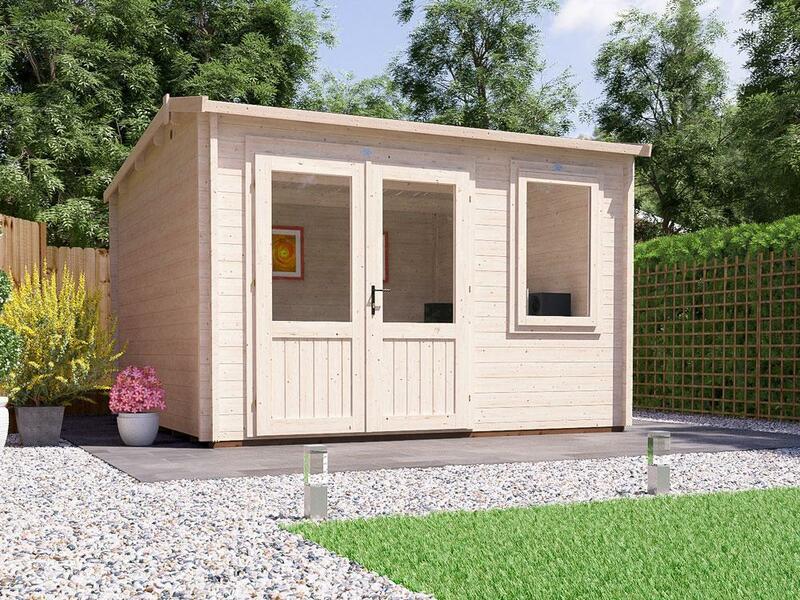 For more detail on how you can perform the key maintenance to your garden shed outlined above, please read on for our comprehensive guide. 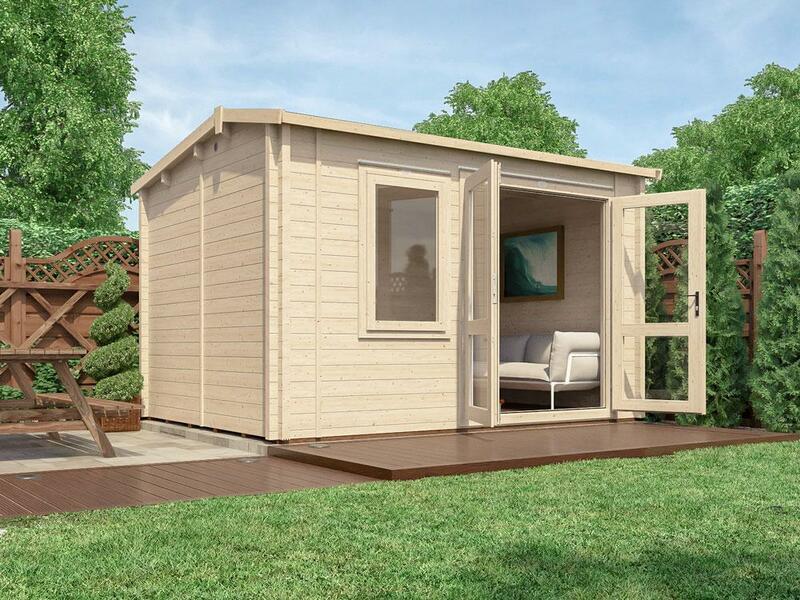 The timber of a shed that sits on an uneven base will deteriorate, twist and eventually break. 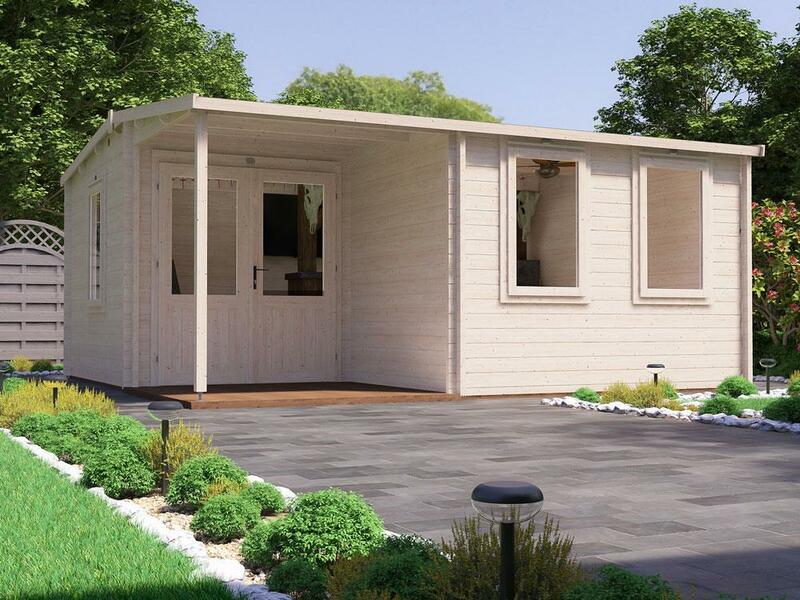 If your shed is showing any of these signs, it is vitally important that you rebuild your shed on an adequate base, to prevent any further damage. 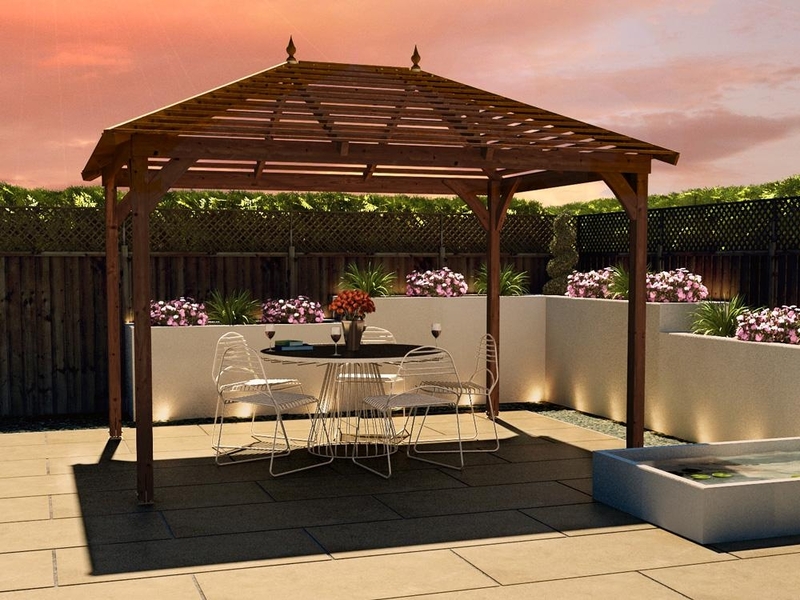 If laid correctly, a concrete base is flat, level, resilient and offers the necessary protection against damp and moisture found in the ground. However, at Dunster House we offer a more effective, cheaper and easier to install alternative in the form of the Premium RapidGrid (pictured below). 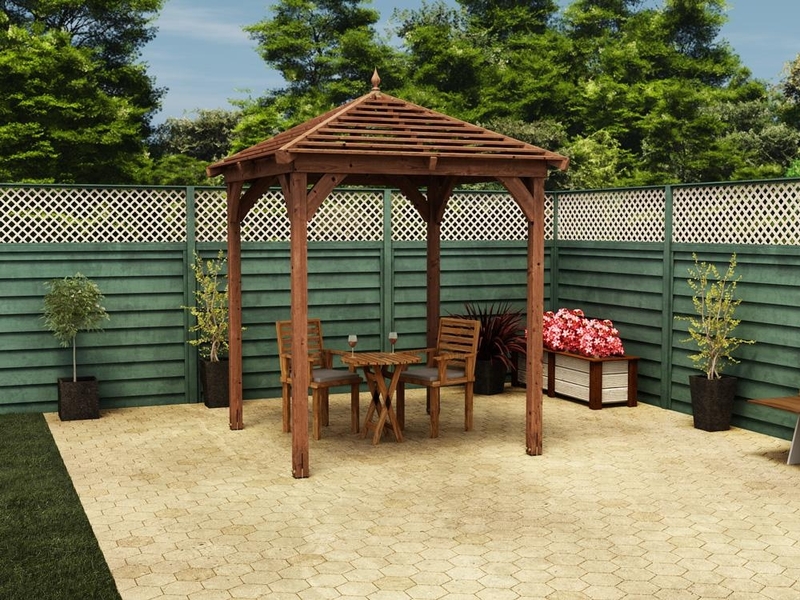 Designed to be used on gardens with a medium firm ground, the Premium RapidGrid uses heavy duty, light and easy to use plastic grids for your garden shed to sit on. It also includes a weed control membrane. 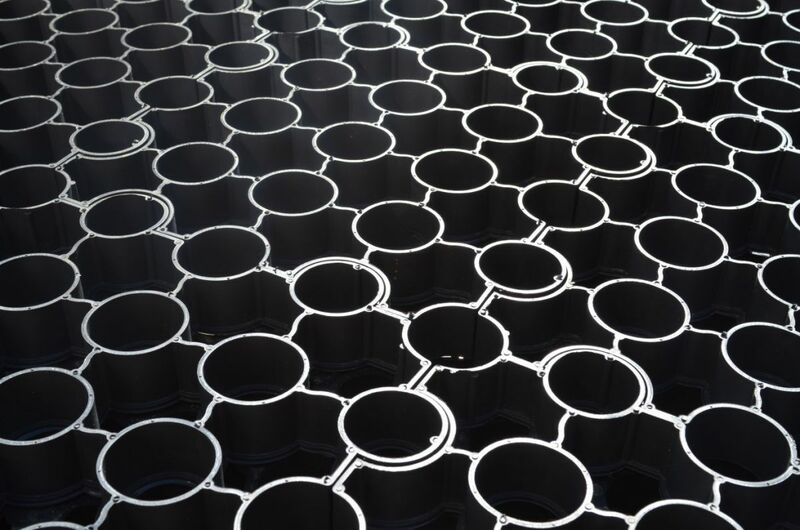 This option is an ideal cost effective foundation for level ground, further information can be found here. If the ground that your garden building sits on is particularly steep sloped, making the creation of a level and resilient base problematic, you may need to consider using a concrete base. If this is the case, you may want to seek a consultation from an expert tradesman. Over time, the felt on your roof shed will inevitably suffer damage. You should be looking to check for damage, at least, annually. 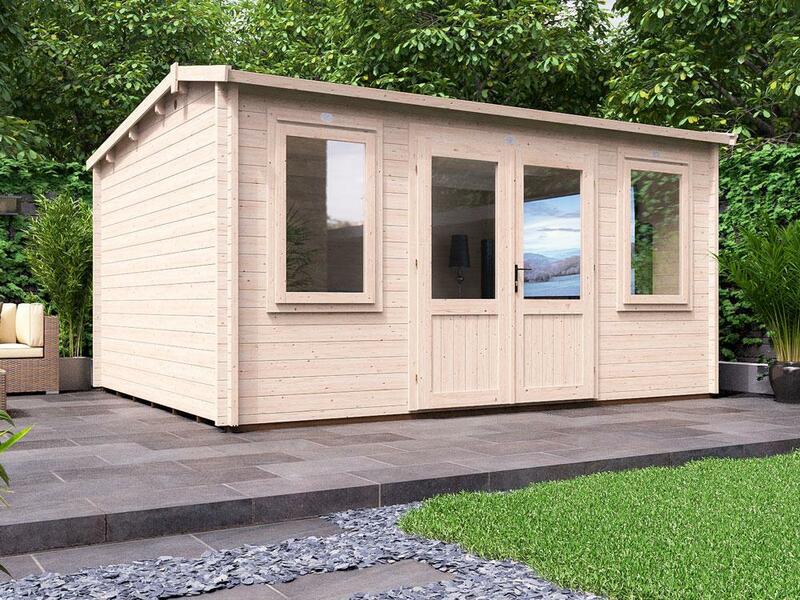 If you do find any wear and tear, act on it as soon as possible, as leaving it will cause more damage to the shed itself and to the contents inside. Should you discover a rip or tear, the best course of action is to replace it immediately. At Dunster House, we sell both high grade mineral felt and shingles. Here is some advice on how to replace both roofing materials yourself respectively. You are likely to encounter a lot of grit and dirt when removing damaged felt; it is advisable that you wear safety gloves and goggles when performing this activity. Locate all the nails that are holding the felt roof in place and then pry them loose using a claw hammer. In the event of a nail head breaking off, hammer the nail in to the wood as deeply as possible so that there are no sharp points protruding through the wood, which could potentially tear the new felt. It is important that you check the exposed timber planks under the felt roof for damage, not just where the holes in the felt were, but all over. If any are damaged, they will need to be replaced. 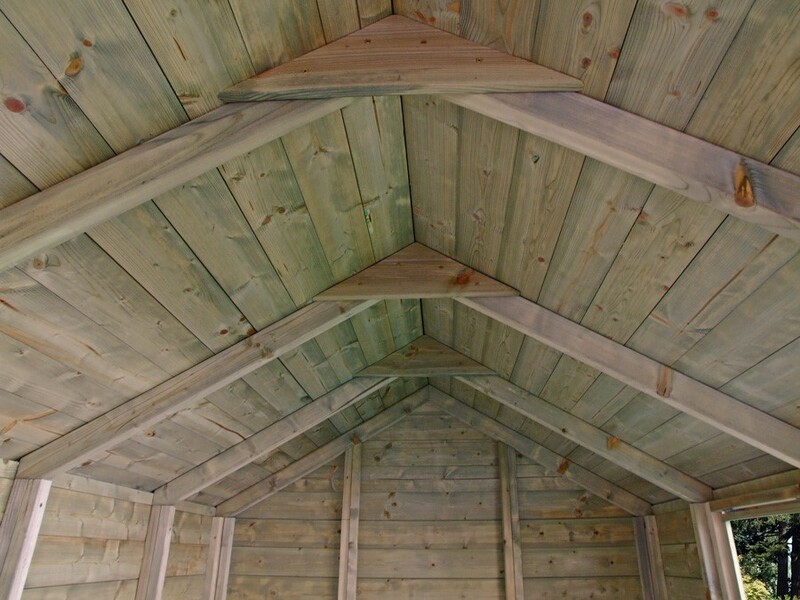 The timber used for shed roofs typically come in two types of cut; straight and tongue and groove. If you need to remove a timber plank of the tongue and groove variety, cut through the tongue section using a chisel and hammer. For straight-cut timber, you can use your claw hammer again to pry the nails out. Measure the removed piece of timber with a tape measure, so that you can cut a new section of tongue and groove, or straight-cut timber, which is of exactly the same size. When affixing the new cut/cuts of timber to your shed, make sure that the nails are hammered in flush to the wood, so that they can’t cause damage to your new felt. 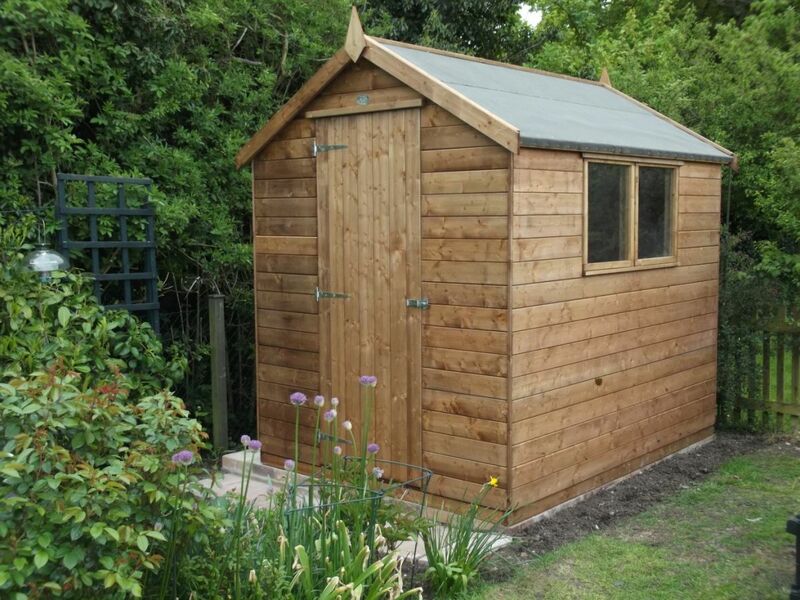 The nails that you use for affixing the felt to your shed's roof should be galvanised clad nails. Firstly measure the total area of your roof (including the ridge), to work out how much felt you'll need. Next make sure that the timber planks of your roof are dry, as new felt should never be applied to a damp or wet roof. 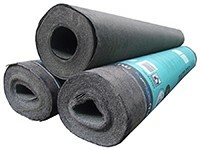 Unroll your new sheet of heavy-duty felt, making sure you have enough for the whole roof or problem area. When making the appropriate cuts to your roll of felt, use a straight blade or Stanley Knife on a hard, level surface that won't suffer damage. When affixing the felt, start at one end of the shed and roll the felt length ways across the shed, remembering to leave an overhang of 50mm. Make sure the felt is taut and then fix it to the roof using nails at 500mm intervals along the top edge of the felt. Then affix the overhang of the felt to the roof, again using nails at intervals of 75mm, folding the felt on the corners, to ensure a tidy aesthetic. No felt rolls are wide enough to cover a whole roof, so this process will need to be repeated for each slope of your shed's roof. You will now need to add felt to the ridge of the roof. For this cut of felt you will need to ensure there is enough overhang to cover the felt on each slope by four inches. For the best finish, when applying felt to the ridge, use a strong adhesive to affix the felt and chalk to make sure it's on straight. Then nail the lower edge of the felt to the roof at intervals of 50mm. Shingles is a hardwearing alternative to felt that can last between 20-40 years, so you shouldn't have to replace a shingle roof too often. But if you do, here's some advice on how to replace it yourself. In the same way you would when replacing a felt roof, if the timber planks of the shed roof are damaged, these will need to be replaced first. For more information on how to do this, you should refer to the 'replacing damaged timber planks' section above. The roof's underlay is placed on top of the timber planks of your shed's roof and will create a watertight barrier that adds extra protection to the shingles. Start at the bottom of one end of your shed and unroll your underlay all the way across to the other end of the roof. Use low profile, capped roofing nails to attach the underlay. Nail the underlay to the top edge of the timber roof at intervals of 6 inches and across the centre at intervals of 12 inches. The second layer of the underlay should overlap the first by about 6 inches. Use nails to attach the underlay at six inch intervals across the seam where the two layers meet and at 12 inch intervals across the centre of the second section of underlay. You will need to do this for both sides of your shed's roof before you place the underlay across the peak of the roof. 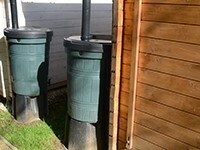 All seams should face the ground to ensure all the water drains downwards. 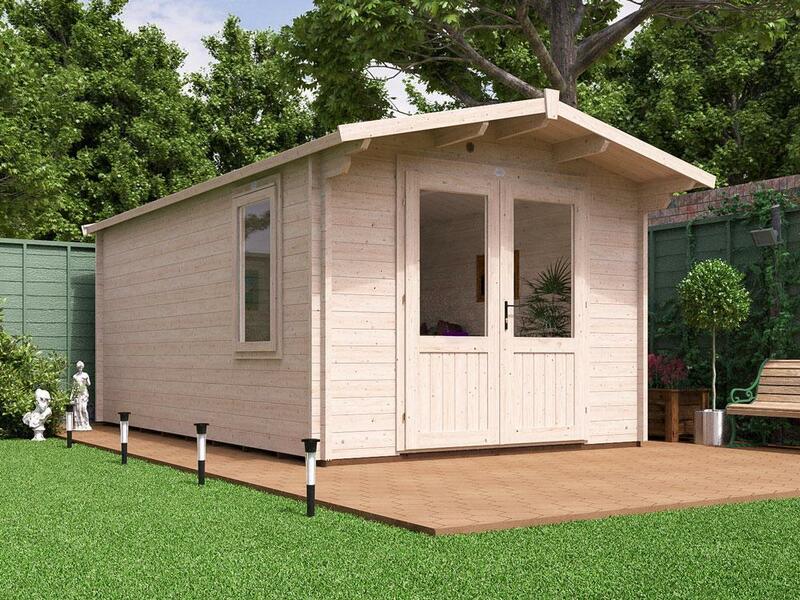 Now that you have replaced the underlay, you will be ready to replace your shed's shingles. To begin with you will need to apply roofing tar to the bottom edge of your shed's roof, before laying the first row of new shingles horizontally and upside down across the bottom edge also. Be careful not to apply too much tar, as otherwise the job can become very messy, very quickly. Now that the first row of upside down shingles has been attached, you can start laying the entire roof. First start in the bottom corner of the roof, laying the first shingle on top of the upside down layer, using four to six roofing nails to hold the next layer of shingles in place. As you lay the following rows, make sure that the seams do not line up by staggering their placement, as this will help protect the roof from water. Also, in the second row, move the shingle sheet over by a third, so that every third row of shingles line up and you create an attractive staggered pattern finish to your roof. Once you have attached shingles to both sides of your roof, you will need to also attach shingles to the ridge of your roof. 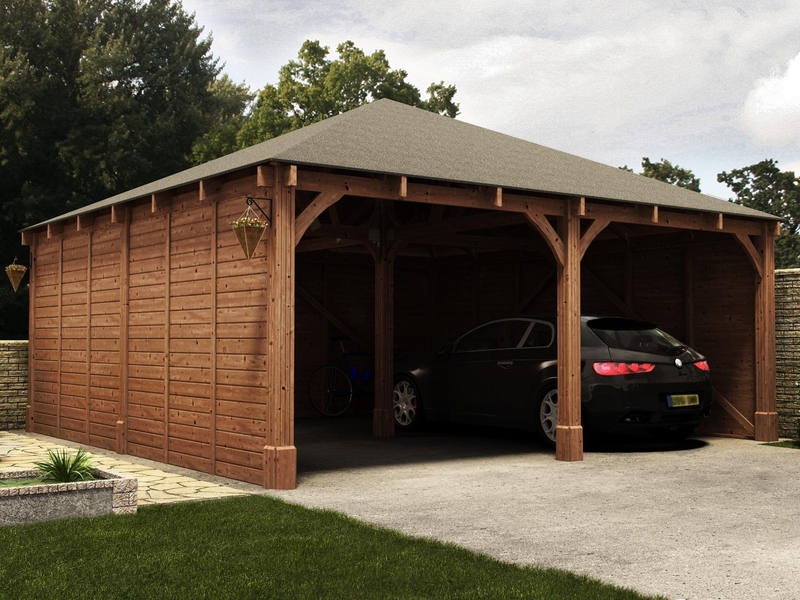 Damp and moisture are the two things that are going to do the most damage to your shed; so going the extra mile, beyond just making sure that your wooden shed is treated, can really help to protect your investment. 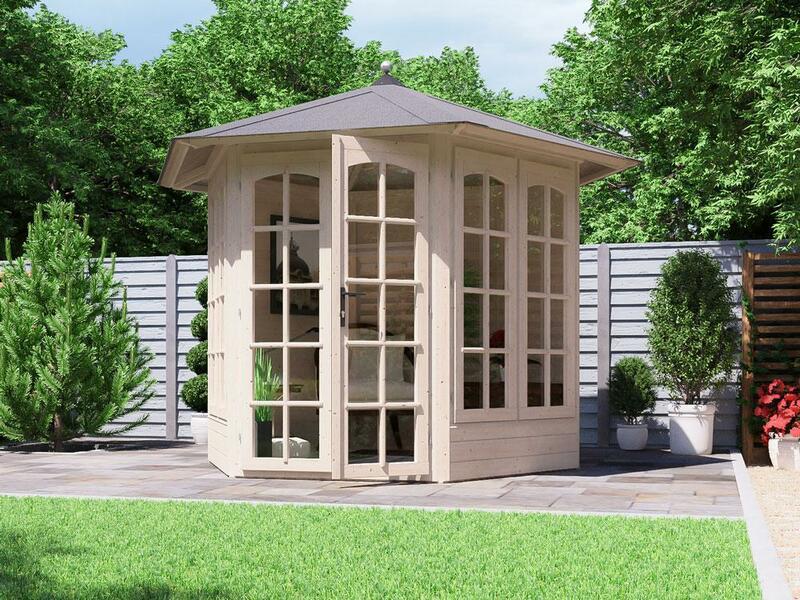 Ensuring that your wooden shed is in the best possible position within your garden can go a long way to protecting it against damp and moisture. Water which consistently drips from leaves and branches can cause serious damage, as can a branch that comes into immediate contact with a felt roof. Therefore measures should be taken to regularly cut back any overhanging trees which may be in close proximity to your shed. 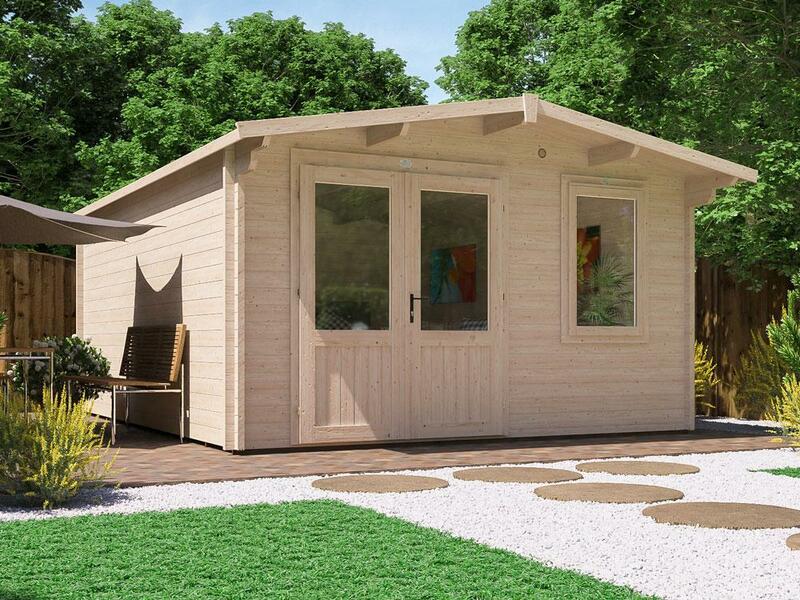 Ideally, if possible, your wooden shed should be placed at the highest point of your garden, as this will aid drainage naturally. Guttering can also be fitted to redirect water away from your shed, representing an excellent investment for prolonging the life of your wooden shed. At Dunster House our shed windows are internally beaded, guaranteeing water-tight properties. 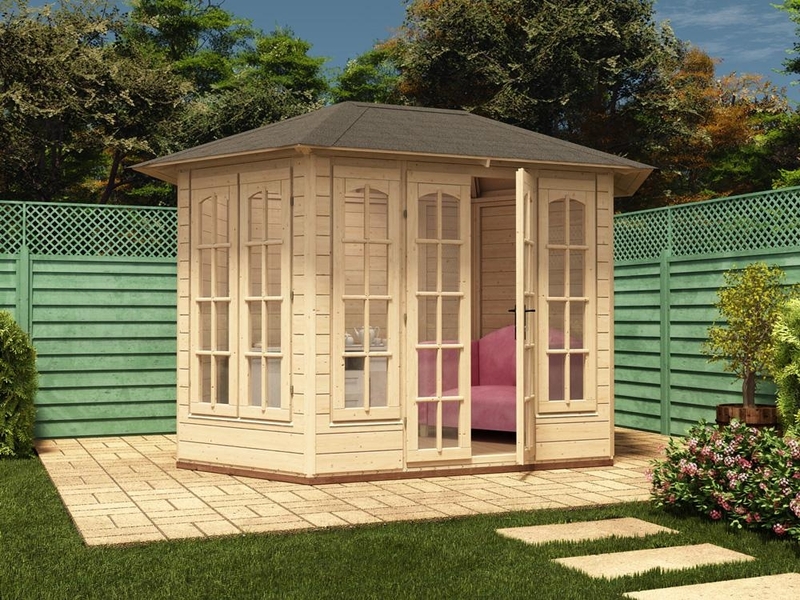 However, if your shed is lacking this feature a similar effect can be created by applying silicone to the edges of the glass.